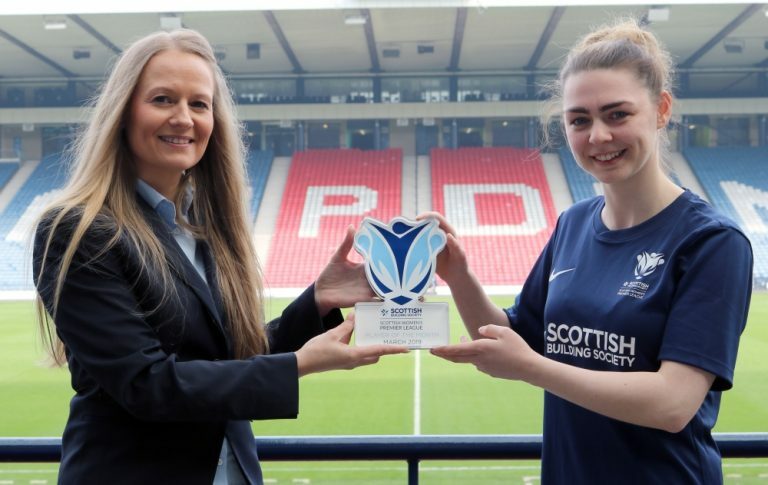 Glasgow Girls and Partick Thistle had to settle for a share of the spoils, after drawing 0-0 to kick-off the Scottish Building Society SWPL 2 season at Petershill Park. The hosts finished just above the relegation zone last season but they who had the first chance against the promoted visitors, when Kirsty MacDonald forced Nicolle Andrews into a smart save low to her right. On five minutes, Thistle had their own chance to grab an early lead when Cheryl Hogg played Loren Christie through on goal but her shot was well blocked by new ‘keeper, Toni Harkness. After the frantic start, things settled into a routine with Thistle looking the more likely to score, but neither side really taking control. Christie really should have done better when Emma Lawton crossed towards her, but she couldn’t connect well with her header. Their best chance of the half however came eight minutes before the whistle when Christie’s cross found Lawton who squared for Stephanie Mallon but her shot was deflected behind for a corner. The hosts knew they had to improve in the second half and they almost took the lead three minutes after the restart when Leigh Ferrol cut inside before smashing a shot against the crossbar. With the sun having disappeared for the day, the crowd in attendance needed something to heat them up but for the next twenty minutes the two teams continued to cancel each other out. Thistle should have went in front on the 70 minute mark when Christie again found herself one-on-one with the keeper but her early shot was kept out once more by Harkness. Substitute Sara Paterson set up Hogg soon after with her powerful strike tipped over the bar by Harkness, with the resultant corner ending with the ball on top of the net rather than in it. There was a final chance for the home side with three minutes to play when Rachael Armit found herself in space on the right hand side of the box, however, her shot was deflected wide and the two sides had to settle for a point.